Amaryllis Musings: WIP Wednesday - Happy Halloween! 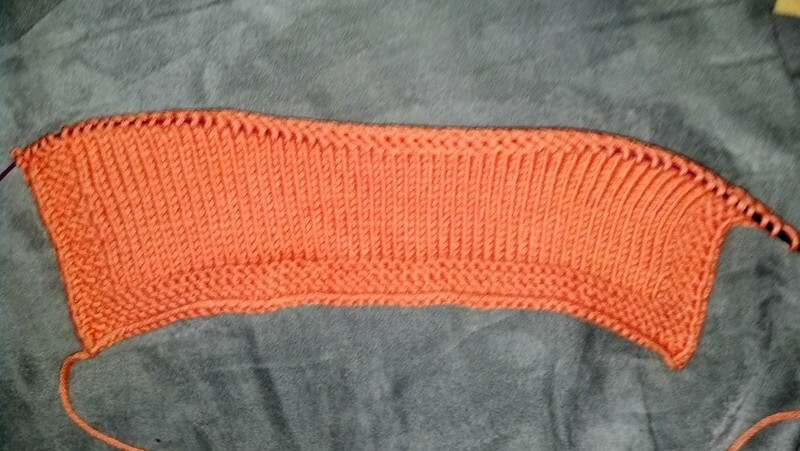 WIP Wednesday - Happy Halloween! 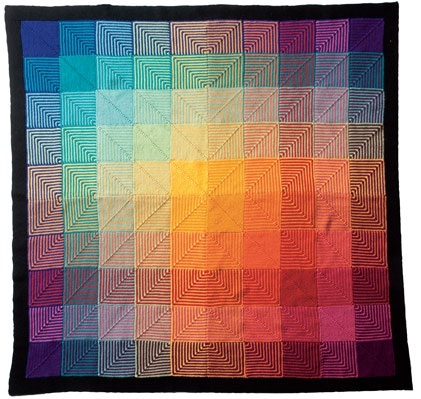 Hello all, it has been a while since I blogged. This has been a hectic month between busy at work, crashed hard drives, and family drama I just haven't had be able to fit blogging in. I hope that those of you who were affected by Sandy are safe and the waters are receding Speaking of Sandy, we have just gotten a ton of rain and the rivers and streams are flooding but no where near the levels that NY and NJ are facing. As a result though, they have moved trick or treating to Saturday which is my Dad's birthday. We have plans to go to the casino for an American Cancer Society fundraiser and I get to meet my bestie's new boyfriend. Anyway, between now and then is All Soul's Day and there is a service at church that will honor those who have passed away between the last All Soul's Day and this one, which includes my mother. Please keep us in your thoughts because it's going to be a hard day. 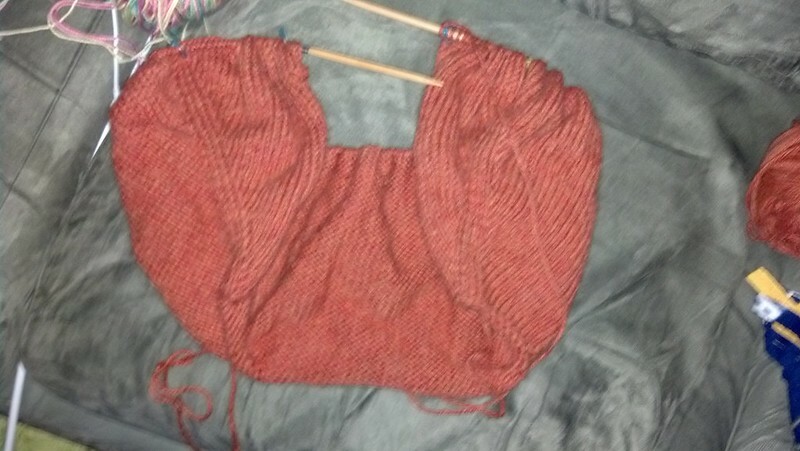 But in the meantime of all of these goings on I have made some progress in my knitting that I would like to show you. Well I am making good progress on the socks. 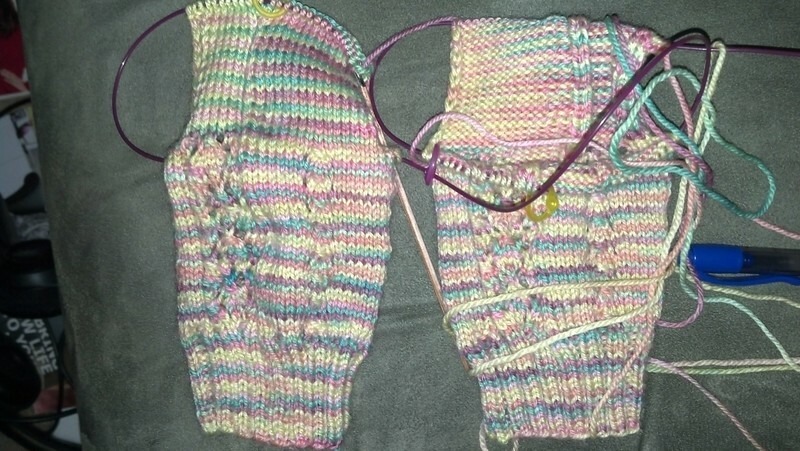 I love the pattern and doing socks 2 at a time is great because I know when I get to the toe the pair will be finished. 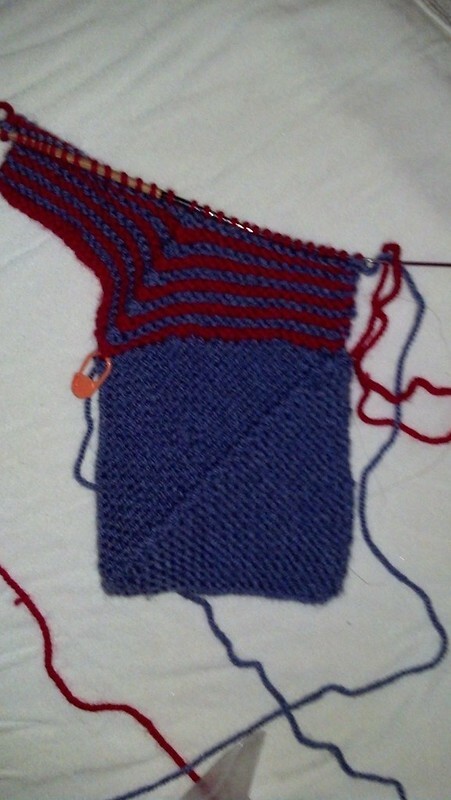 Anyway, I plan on getting the heel flap, turn and gusset done by the end of the week. The it's a mad dash to election day to get the foot finished. I know it may not look like much bu this is a top down raglan cardigan. If you recall, this used to be my Karina Vest that I blogged about earlier in the year. I really was not feeling the pattern and ripped it out and started this cardigan. I will need more yarn but I will cross that bridge when I get to it. However, I am so amazed at how the leaning increases have been able to produce. There is some serious Hogwarts magic that occurs when you knit. I have to admit, that when I think about the name, the voice in my head sounds like Long Duck Dong from Sixteen Candles....Oh Shapely Boyfriend!!!!! So I am working on making a blanket with 6 Justice League Characters as an homage to an episode of Big Bang Theory. I have Superman, Green Lantern, and Aquaman done but needed a mindless project for a car trip. So I started on a filler square. This one is half way done but I should be able to finish it soon. So that is what's going on in my neck of the woods, how about you?